René Clausen: Bio & Choral Music | Santa Barbara Music Publishing, Inc.
René Clausen (b. 1953) has served as conductor of The Concordia Choir of Concordia College, Moorhead, Minn., since 1986. Additionally, he is the artistic director of the award-winning Concordia Christmas Concerts, which are frequently featured by PBS stations throughout the nation. Clausen is a well-known composer whose choral compositions are currently published by the following publishing companies: Roger Dean, Augsburg Fortress, Santa Barbara, Walton, Hal Leonard, Mark Foster and Shawnee Press. His compositional style is varied and eclectic, ranging from works appropriate for high school and church choirs to more technically demanding compositions for college and professional choirs. Interested in composing for various media, Clausen’s compositional interests include works for the stage, solo voice, film and video composition, choral/orchestral compositions and arrangements, as well as works for orchestra and wind ensemble. He regularly composes on a commission basis, and is a frequent guest conductor and composer-in-residence on an international basis. In addition to choral conducting, Clausen is increasingly well known as a guest conductor of the major literature for choir and orchestra. At Carnegie Hall he has guest conducted the Brahms Ein deutsches Requiem, Mozart Requiem and Mass in C Minor, together with the New York premiere of three of his own works, Gloria (in three movements), Whispers of Heavenly Death, with text by Walt Whitman, and Communion, with text by George Macdonald. Other major choral/orchestral works he has conducted include the Poulenc Gloria, Vaughan Williams Hodie, Beethoven Mass in C Major and Choral Fantasy, and Fauré Requiem. Other recent works include The Midnight Ride of Paul Revere and Celebration Canticles. 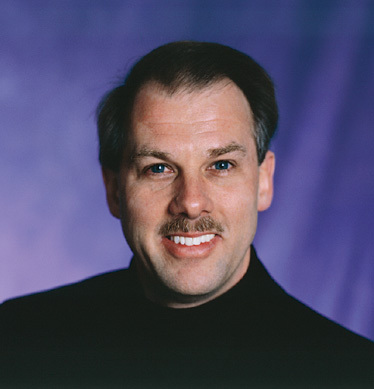 In the summer of 1998, Clausen established the René Clausen Choral School held on the campus of Concordia College, Moorhead, Minnesota, which has had around 1,000 participants from across the country. Much more than a reading workshop, the choral school is an intensive, five-day program for choral conductors focusing on conducting and rehearsal technique, performance practice issues, elements of choral ensemble, tonal development, as well as daily reading sessions of new music. René Clausen has 9 titles published with Santa Barbara.